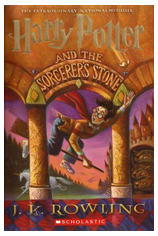 On a whim last month I put The Sorcerer’s Stone on hold at the library, and read it last week. I haven’t religiously reread the series over the years, or in preparation for each movie release, like a lot of people who grew up with Harry. This was published in 1997, I was 8 at the time. As a big reader in elementary school, I remember reading these as new books. I can perfectly picture the classroom library/reading nook my 5th grade teacher Mrs. Jones had set up in the back corner of her classroom, and discovering my love of historical fiction with “The Last Silk Dress” and “Wolf By the Ears” by Ann Rinaldi… but I also remember having Harry Potter books next to my pencil case in my desk. Does anyone else remember in images? It’s like a perfect snapshot of my pencil box stacked on top of a hardcover of Harry Potter. I saw the first movie in theaters in Winnemucca, Nevada, on a road trip with my family – my dad took my sister and I so our mom could relax in peace at the motel with a glass of iced white wine. It was wonderful. But I had stopped reading the books around #4 or #5, and only saw the first 2 or 3 movies. It just never sparked a fire for me as a teenager – I can say the same for the Lord of the Rings mania, which was also huge during middle school and high school. The real kicker for me was that the books and movies ALWAYS came out during the summer, usually around my birthday in July – for so many years, people would skip my birthday party to wait in line for the new Harry Potter book, or be too tired from the midnight premier of the newest movie. It made me bitter! When I was 18, I finally read the last 2 books and absolutely loved them. I know I’ve read all the books at one point or another… but the middle of the series remains very muddled to me. I think I’ve patched most of my Harry Potter knowledge from the movies, vague memories of reading the books when they original came out, and piecing together information from tumblr. Well at the ripe old age of 26, I am aiming to rectify this situation! I read the first 2 books last week, and was enchanted by them. Very very good stuff. The level of detail is extraordinary, and the lush background given to each character and setting makes for a very engrossing experience. It’s fun to see the clues Rowling has left sprinkled throughout the early books, and I like vaguely knowing what is going to happen, but not remembering any of the actual details. I didn’t remember Gilderoy Lockheart AT ALL, and its fun seeing Harry and the gang interacting as babies. Ginny’s school girl crush on Harry, Ron’s feelings towards Hermoine. Dumbledore being mysterious as hell – he really isn’t very involved in the first few books AT ALL. I know all is revealed later, but I’ve been surprised at how much of an enigma he is at this point. I don’t like going on benders with series – I read the first 2 books in 10 days, and feel like I can probably take a break and read other things from my to do list for a little while. Luckily, I can borrow the Harry Potter series for free as part of the Amazon Prime Lending Library, and won’t have to wait to get them from the library – also, I’m limited to 1 per month, which is a nice way to not get too crazy about it. Between Harry Potter and Outlander, I feel pretty good about my options for series. 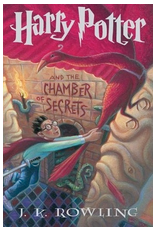 I don’t think I’ll have any groundbreaking opinions to add to the many many many things written about Harry Potter, but it is nice to relive some memories and revisit some amazing characters.